Hold Open Fire Doors Legally with the Sonicco Shuttle Fire Door Retainers. Shuttle is a wireless fire door stop which legally holds open the fire door until the fire alarm sounds. The Shuttle acoustic fire door retainer is installed on the face side of the fire door. Once installed simply select the “learn alarm feature” and set off your fire alarm for approximately 20 seconds. Our fire door stop will then learn your fire alarm and activate. Once the unit has been configured, press down the plunger at your chosen door angle. Unlike other door closers on the market, Shuttle only responds to the sound of the fire alarm and does not respond to vacuum cleaners or other ambient noise. Anti-vacuum technology: Only closes upon the fire alarm sound. Dynamic slim design, designed to be discreet on the fire door. Long battery life with an easy to use battery compartment. 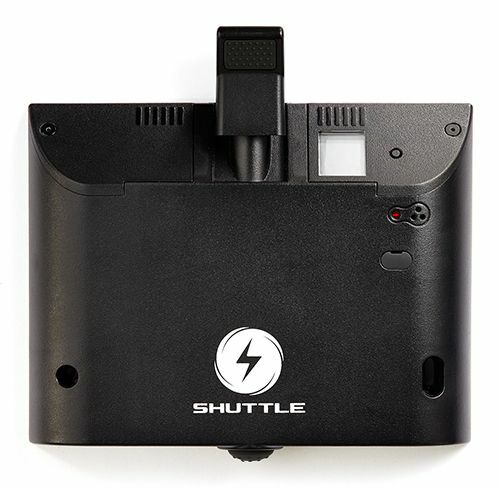 Control Shuttle from the LCD screen. Easy night release function, time management system, fault reader and weekly test. USB: Software upgrades with special features available. Fully compliant with BSEN1155 and accepted by UK fire brigades.